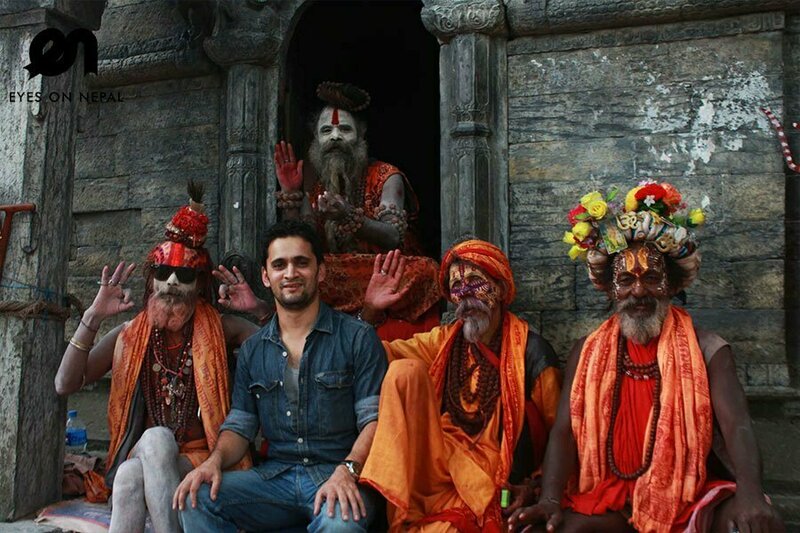 This 7 nights 8 days Nepal Tour packages from India specially tailor made to India citizen who are traveling in Nepal. Offer you the best of Kathmandu Valley, Nagarkot ,Chitwan national park and Pokhara, which are the most popular destinations in Nepal. Elephant riding and viewing rhino at Chitwan national park will be excellent starter. Paragliding and a sunrise tour to Sarangkot along with romantic boating on Phewa Lake at Pokhara will give you wonderful experience. The eight world heritage monuments in Kathmandu Valley and viewing of Everest from Nagarkot will surprise you again after the visit. 00.00pm: Dinner at your hotel. 06.30am: Pick up from hotel. Proceed to Chitwan National Park. 08.00am: Back to hotel. Check out hotel. Breakfast at hotel. 07.00pm: Dinner at your hotel. 07.00am: After sunrise, Visit Bindabasini Temple on the way back to Lakeside. 08.00am: Visit Tal Barahi Temple on the middle of the Phewa Lake by boat. It is one our boat trip including your Pooja. 09.00am: Back to Hotel. Breakfast at your hotel. Rest and Relax after breakfast. Note: if you don’t like to wait other group member, you can go around lakesideon your own because your hotel situated the the heart of Lakeside area. 11.00am: Pick up from your hotel and proceed to Paragliding Tours. 12.00pm: You will start your 30 – 45 minutes Paragliding Tour after a short briefing by the pilot. 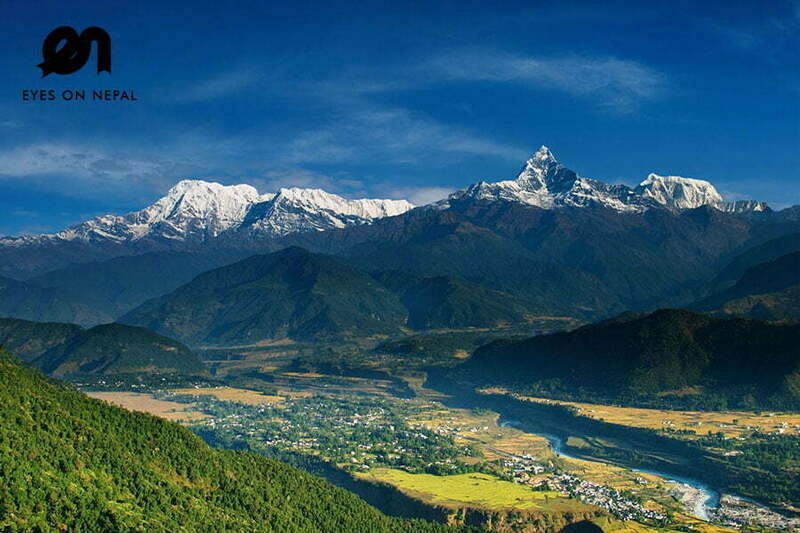 Pokhara in Nepal is the world’s best paragliding spot in the world with amazing view of Annapurna range of mountains and beautiful landscape around Pokhara valley, virgin Mt; Fishtail (Machhapuchhre), LamjungHimal, Annapaurna, Himal, Himchuli, Phewa lake, rice field, rivers and settlements. 12.30pm: You will land in Phewa Lake Side. We will pick you up from the landing point. Note: Members not interested on the Paragliding tour, can rest and relax at the hotel. ** Davis Fall – A waterfall located at Pokhara in Kaski District. An interesting aspect is the water from the fall flow about 500 feet through the natural tunnel at the depth of 100 feet from ground level. ** Mahadev Cave – Across the road from Davis Falls, this venerated cave contains a huge stalagmite worshipped as a Shiva’s Lingam. ** World Peace Pagoda Sunset Tour – Standing on top of the Ananda hill, Shanti Stupa adds more beauty to Pokhara Valley. 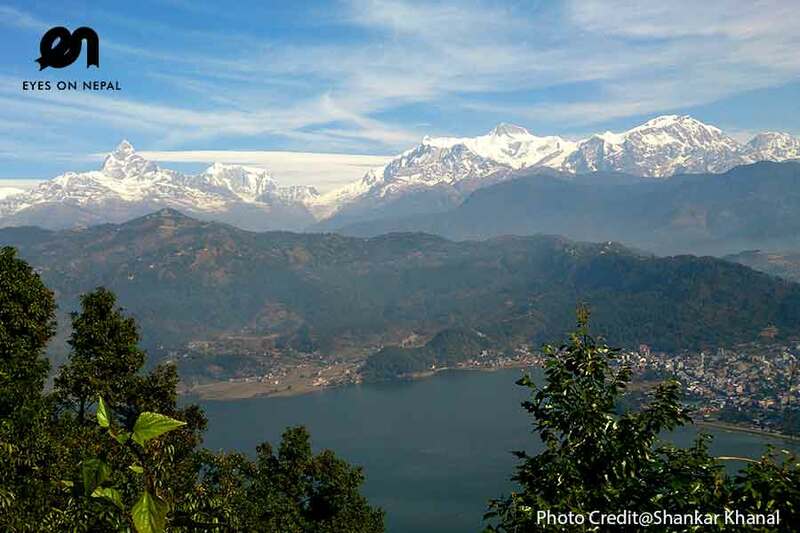 It is a perfect holiday place providing a clear view of the Himalayan range of mountains, Phewa Lake and Pokhara City. The hilltop provides a splendid view of sunrise and sunset. Tripadvisor has ranked Shanti Stupa as top second attraction in Pokhara. 06.00am: Depart to Kathmandu. Note: you will have pack breakfast. 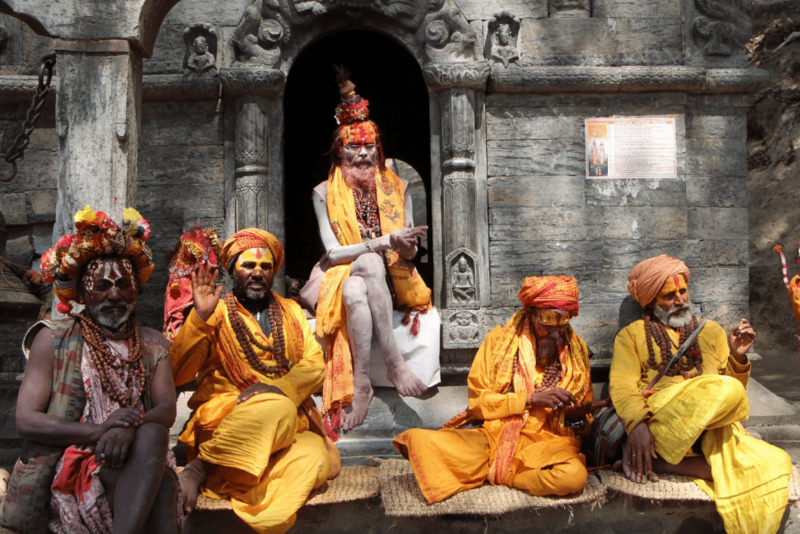 Note: The Manakamana Temple situated in the Gorkha district of Nepal is the sacred place of the Hindu Goddess Bhagwati, an incarnation of Parvati. 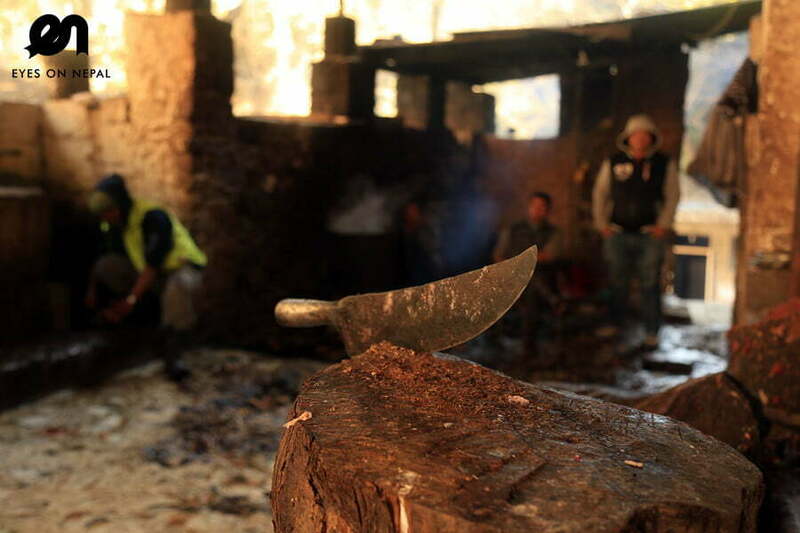 The name Manakamana originates from two words, “mana” meaning heart and “kamana” meaning wish. Venerated since the 17th century, it is believed that Goddess Manakamana grants the wishes of all those who make the pilgrimage to her shrine to worship her. 01.00pm: Arrive in Malekhu and lunch break at Hamlet Restaurant. If you are too hungry the you can have it on Cable Car Station too. 05.00pm: Arrive in Kathmandu. Check in your hotel. 05.00am: Pick up from your hotel. Proceed to Kathmandu International Airport. NOTE: You need to be at boarding gate one hour before your Mt Everest mountain flight tour. 07.30am: Landed in Kathmandu airport. We will pick you up to your hotel in Kathmandu. Tour ends. Pilot will give you certificate of Mountain Flight Tour after you landed in the airport. 08.30am: Pick up and send back to your hotel. 07.00pm: Dinner in Gokarna House Restaurant with Nepalese Cultural Dance performances. 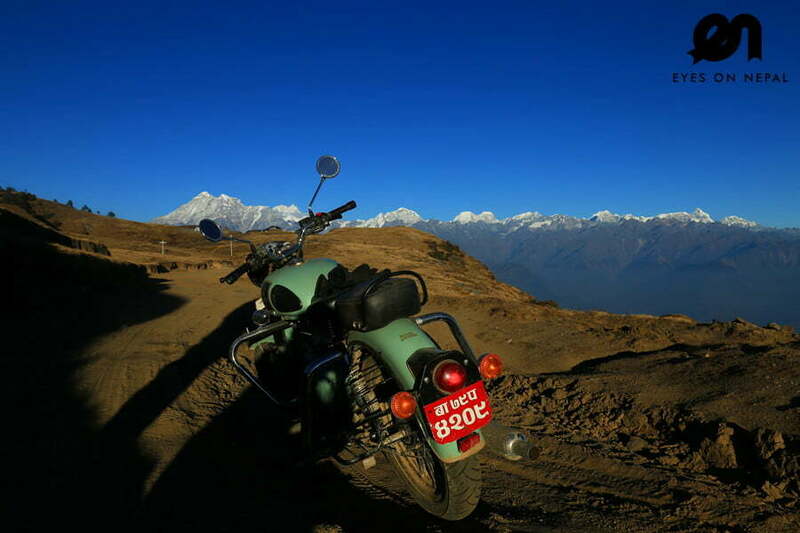 05.00am: Pick up from your hotel for the Everest sunrise tour to Nagarkot. 07.15am: Drive to Sanga to visit Kailashnath Mahadev. Note: Kailashnath Mahadev Statue is the world’s tallest Shiva statue.It is situated in Sanga, on the border of the Bhaktapur and Kavrepalanchwok districts in Nepal, about 20 km from Kathmandu.The statue is 144 feet (44 m) in height, and was made using copper, zinc, concrete, and steel. According to the List of statues by height, Kailashnath Mahadev is the world’s fortieth-tallest statue, four places after the Statue of Liberty. 08.00am: Arrive in Sanga. You will have 1 hour for Kailashnath Mahadev Darshan. 10.00am: Arrive in Kathmandu and have your breakfast. Any change request will be charged and advised accordingly. ** Haice with air-conditioned for 8 days 7 nights.